The Atlanta Braves opened the season with a 1-0 loss to the New York Mets at Citi Field this past Thursday. 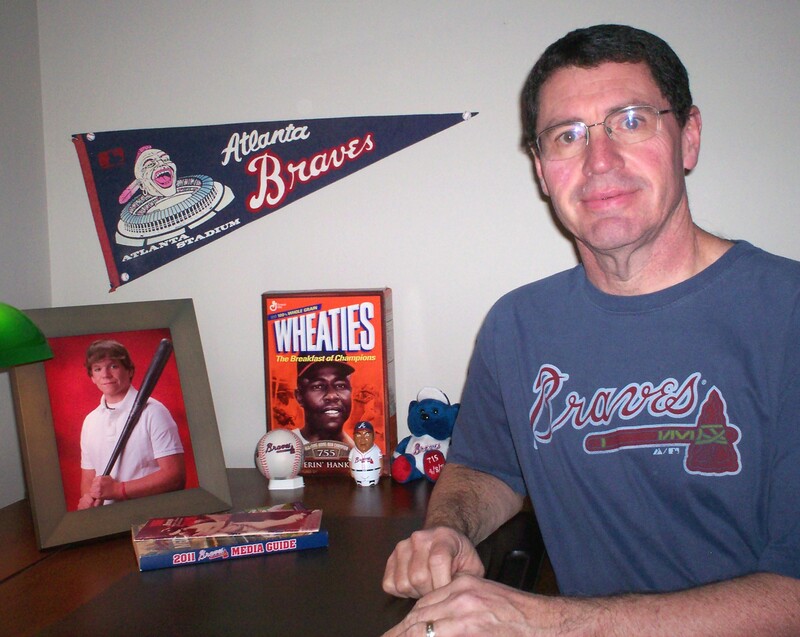 Thirty years ago the Braves played a 1-0 game on Opening Day, but they won that one. As a matter of fact, they won their first 13 games that year, setting a new record for wins to start a season. The Braves opened the 1982 season with a lineup of Brett Butler in center field, Glenn Hubbard at second base, Claudell Washington in right field, Bob Horner at third base, Dale Murphy in left field, Chris Chambliss at first base, Bruce Benedict at catcher, Rafael Ramirez at shortstop, and Rick Mahler on the mound. Joe Torre was in his first season as the Atlanta manager, having replaced Bobby Cox, whom the Braves fired after the strike-shortened 1981 season. The record-setting streak began on April 6 with Mahler tossing a 1-0 shutout against the San Diego Padres. Mahler was an unlikely opening-night starter, having won just eight games in his career going into the season. Phil Niekro, the scheduled starter, was unable to pitch due to an injury. (SAN DIEGO)–GLENN HUBBARD’S FIFTH-INNING DOUBLE DROVE IN BRETT BUTLER TO GIVE THE ATLANTA BRAVES A 1-TO-NOTHING OPENING-NIGHT VICTORY OVER THE SAN DIEGO PADRES LAST NIGHT IN NATIONAL LEAGUE BASEBALL. PITCHER RICK MAHLER FIRED A TWO-HITTER AND RETIRED 17 BATTERS IN A ROW AFTER THE SECOND INNING TO TAKE THE VICTORY. A CROWD OF MORE THAN 30-THOUSAND WAS ON HAND TO WATCH THE TWO TEAMS WITH THE BEST GRAPEFRUIT LEAGUE RECORDS. MAHLER GAVE UP A SINGLE TO LUIS SALAZAR WITH ONE OUT IN THE SECOND, THEN SET DOWN THE PADRES IN ORDER UNTIL HE WALKED BRODERICK PERKINS WITH ONE OUT IN THE EIGHTH INNING. RUPERT JONES TOUCHED MAHLER FOR A DOUBLE IN THE NINTH. MAHLER STRUCK OUT SEVEN AND WALKED THREE IN RECORDING HIS FIRST CAREER SHUTOUT. IT WAS ALSO HIS FIRST SEASON-OPENING START. LOSING PITCHER JUAN EICHELBERGER YIELDED JUST THREE HITS IN SIX AND ONE-THIRD INNINGS BUT SUFFERED CONTROL PROBLEMS, WALKING EIGHT BATTERS. As you can see from the final line, I ripped this story from the teletype machine sometime after 3:42 a.m.on April 7. The cheap paper stock has not held up very well over the course of the past 30 years, but I can still read it. The Braves knocked off the Padres in the second game of the season and headed home. 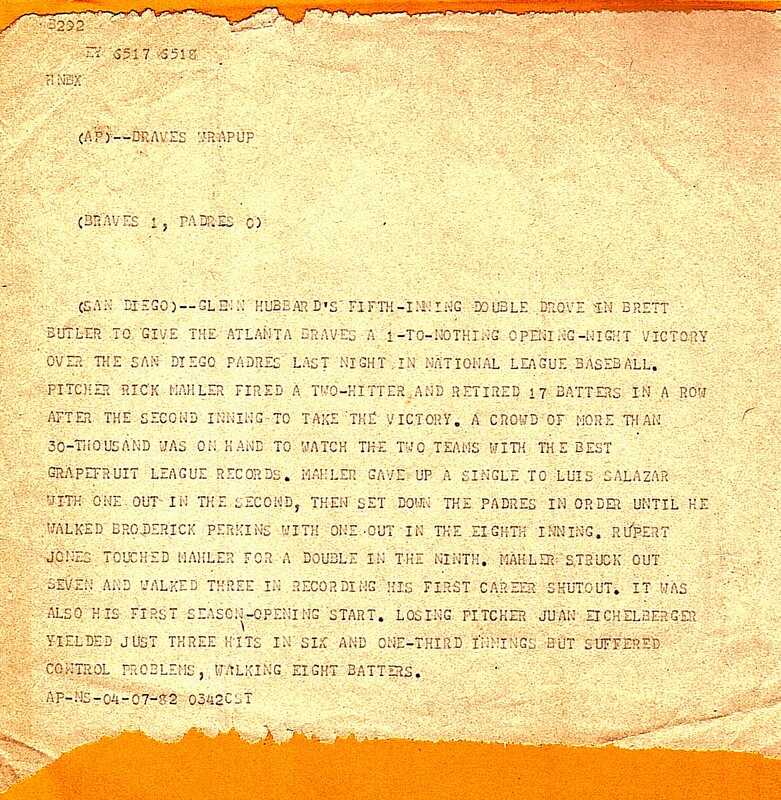 After winning their first two games against the Houston Astros, Mahler fired a five-hit shutout as the Braves ran their streak to five; Nolan Ryan was the losing pitcher. After three more wins, Mahler took the mound against Houston in the Astrodome. He pitched three and one-third innings of shutout baseball before the Astros touched him for three runs. But the Braves scored five off of Ryan in their half of the sixth inning and the Braves’ bullpen held the Astros scoreless. On April 18, the Braves won their 11th game and surpassed the National League record for season-opening victories previously held by the 1955 Brooklyn Dodgers and the 1962 Pittsburgh Pirates. Pinch hitter Biff Pocoroba, batting for winning pitcher Al Hrabosky, drove in the game-winning runs with a two-run double in the eighth inning as the Braves knocked off the Astros by a score of 6-5. The 13th win was a dramatic, come-from-behind victory over the Cincinnati Reds. The streak seemed in jeopardy right from the beginning of the game as Reds’ starter Mario Soto struck out the first five Braves he faced. Mahler was the starter for the Braves, but he gave up three runs in the third inning and was gone by the fifth. Heading into the bottom of the ninth, the Reds led 3-2. Matt Sinatro led off the inning for the Braves with a walk. Ramirez, attempting to sacrifice Sinatro to second, pushed a bunt past the pitcher for a hit. Pinch hitter Rufino Linares lined out to center field. Butler followed with a hard-hit grounder to short that struck Sinatro on the heel. Sinatro was out, leaving Ramirez on second and Butler at first. Reds reliever Jim Kern threw a wild pitch, advancing Ramirez to third and Butler to second. Kern then issued an intentional walk to pinch hitter Pocoroba, loading the bases for Washington. Reds manager John McNamara then summoned left-hander Joe Price to face the left-handed hitting Washington. Price brushed Washington back with his first pitch, but Washington hung in and lined the next pitch into center field scoring Ramirez and Butler to give the Braves a 4-3 win. The streak ended the next night. As a matter of fact, the Braves followed their 13-game winning streak with a five-game losing streak. 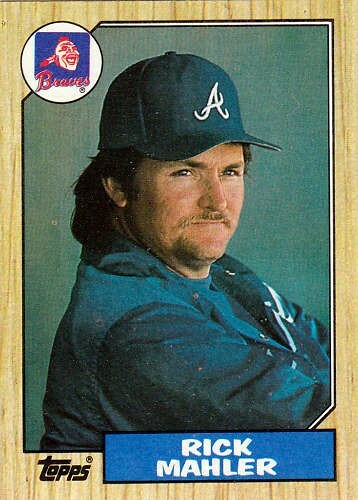 1982 proved to be an up and down season for the Braves. They would reel off a few wins in a row and then go on a losing skid. At one point, the Braves lost 19 out of 22 games but still managed to cling to first place. Dale Murphy came into his own that year, winning the first of his two National League MVP Awards. He smashed 36 homers and drove in a league-leading 109 runs. Phil Niekro overcame his injury and went 17-4 to lead the pitching staff. The Braves finished the season 89-73, one game ahead of the Los Angeles Dodgers. Things did not go well in the National League Championship Series as the St. Louis Cardinals swept the Braves three games to none. Nevertheless, 1982 was a special season for Braves’ fans. 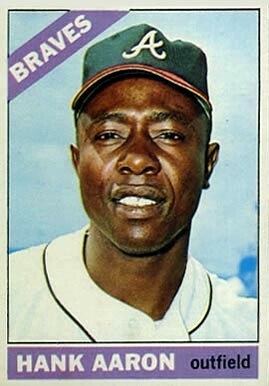 Winning seasons had been few and far between since the Braves won the initial National League Western Division title in 1969. Mahler, who was the starter in four of the 13 games during the streak, proved to be quite the Opening Day pitcher in his career. He threw seven shutout innings against the Philadelphia Phillies and was the winning pitcher on Opening Day in 1985. He shutout the Montreal Expos on Opening Day in 1986 and shutout the Phillies on Opening Day in 1987. His three Opening Day shutouts tie him with Rip Sewell and Chris Short for the most in National League history; Walter Johnson holds the major league record with seven (that’s correct–seven). Mahler finally gave up a run on Opening Day in 1988 with one out in the third inning in a game against the Chicago Cubs. In his career, he racked up 36 1/3 scoreless innings as an Opening Day starter before he gave up a run. Even though Mahler gave up four runs that day, he was the pitcher of record with the Braves leading when he left the game after five innings. But the Braves’ bullpen could not hold the lead so Mahler wound up with a no-decision. Mahler never made another Opening Day start. He pitched for the Reds in 1989 and 1990 and started the year with the Expos in 1991. When Montreal released him in early June, the Braves picked him up and he stayed with them until they released him on August 8 of that year. He never pitched in the big leagues again. He died of a heart attack on March 2, 2005 at the age of 51. It’s hard to believe it has been 30 years since Rick Mahler shutout the Padres on Opening Day and the Braves reeled off 13 straight wins to start the season. Hard to believe it’s been 30 years since were we at JZM. I am surprised that old cheap teletype paper held up at all. You must have taken good care of it.